Bunker rakes must be left “in” the bunker after your foot prints are raked. Local rule. 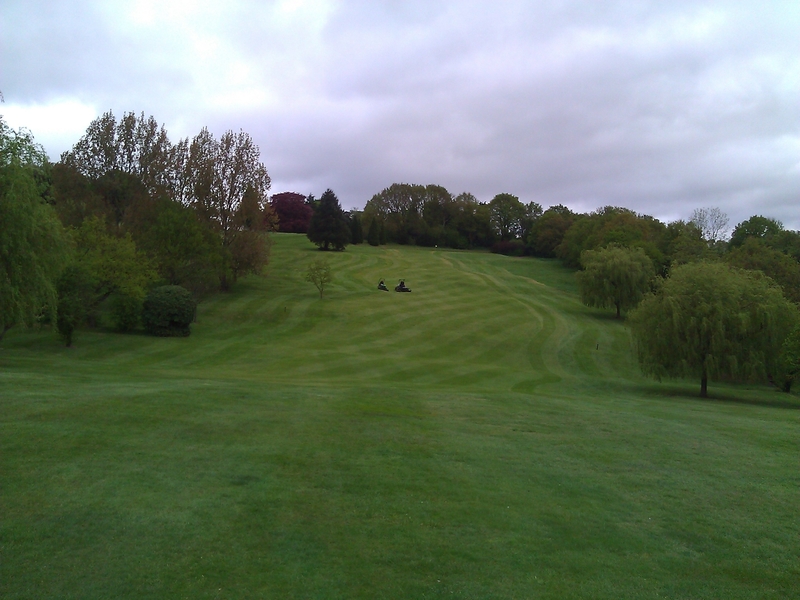 12th hole after the much needed rain yesterday. Turfing drainage lines has began with the 5th green and 14th green section complete and 9th tee and the back of 17th green to finish next week. The greens have been verti-cut today and will increase the speed and produce a true and even putting surface by reducing the amount of leaf and stems on the plant. As the teeth of the machine are set at 1mm below ground level they will also reduce any thatch or fibre produced by the plant. 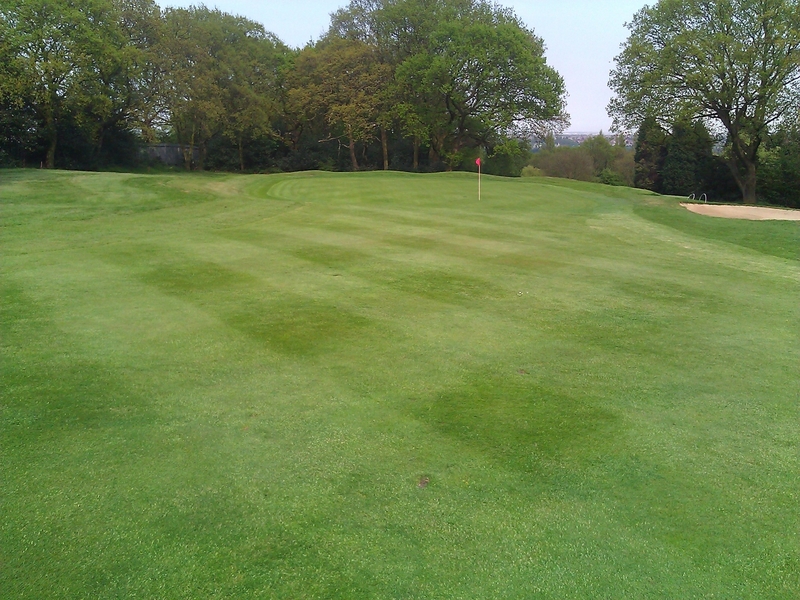 This operation can be carried out as much as once a week depending on weather conditions and health of the plant, to much fertilizers and verti-cutting would have to be carried out every 3 days to achieve the correct putting surface. 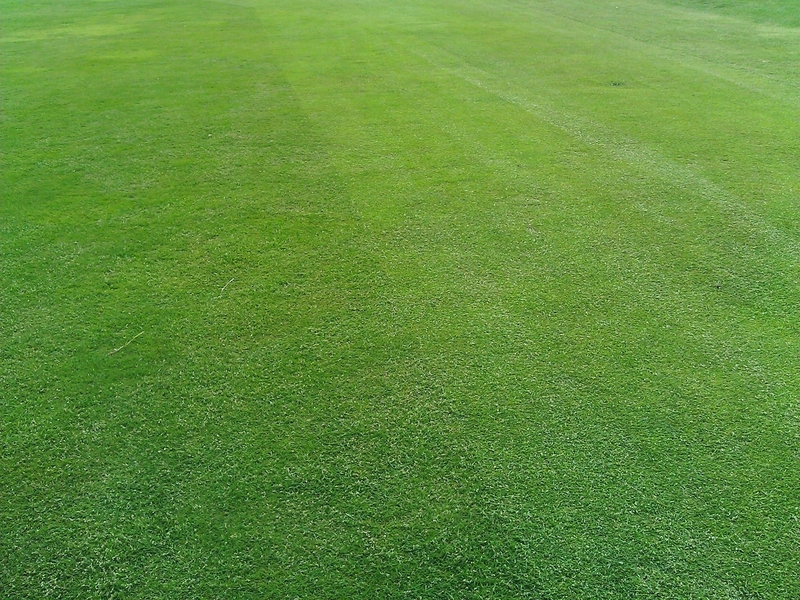 Playing catch up from the bank holiday weekend, look how much the 1st fairway has grown 3 days. Preferred lies will no longer apply as from 8th May 2013.